After a winter of wicked strong storms that caused erosion and other damages to beaches up and down the coast, the Metropolitan Beaches Commission held a hearing at the State House to hear from DCR about plans for the summer. This hearing also featured testimony from Mayor Brian Arrigo of Revere and Mayor Thomas Koch of Quincy. 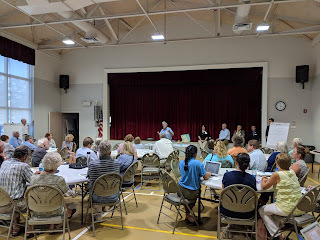 Commissioner Roy gave updates on the storm clean up, the metro beaches budget for the summer, the lifeguard and other staffing plans, as well as events planned for the 125th anniversary celebration of DCR. You can read our full recap of this hearing here. Then in August, the MBC kicked off its latest round of public hearings with one in Quincy, home to DCR’s Wollaston Beach. 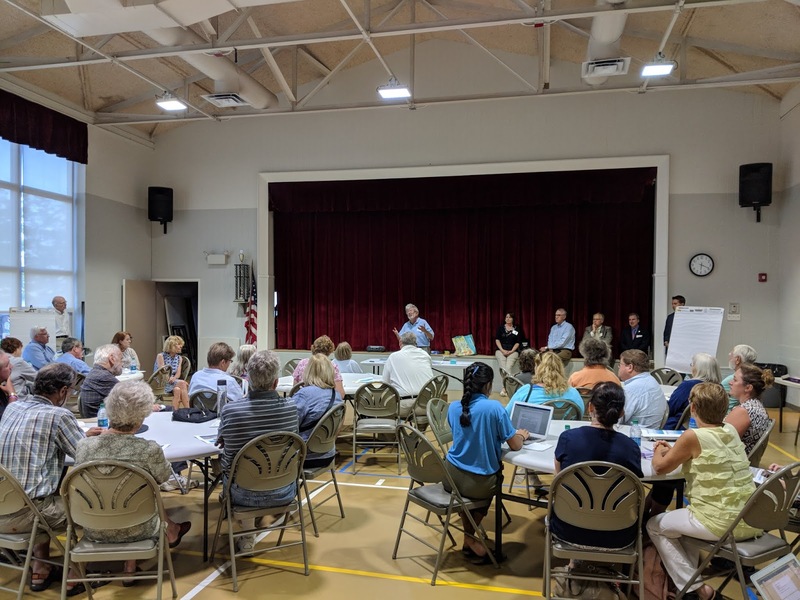 About 50 residents attended the hearing and shared their thoughts, concerns, and ideas regarding capital improvement, events and programs, connections to the beach, amenities, and other needs and opportunities with the Commission. You can read the full meeting minutes for the hearing in Quincy here. These listening sessions will continue in the winter and spring from Nahant to Nantasket. The MBC is called to report regularly on the state of the metro beaches, as well as to make recommendations for improvements and management best practices. The MBC will be releasing its latest report in summer 2019. The public hearings that are scheduled are a crucial part of that report. The list of dates for these 2019 hearings are below, with the community locations still in the process of being determined. Please check back or follow us on Facebook to stay updated on the meetings happening in your community, and/or regarding your favorite beach! The Metropolitan Beaches Commission is comprised of elected officials and community, civic, nonprofit, and business leaders from Boston and the metropolitan region's waterfront neighborhoods and beachfront communities. Its work is facilitated by Save the Harbor/Save the Bay, which has served as lead consultant to the Commission since its inception. In 2013, the Commission reconvened to examine the impacts of the reforms and recommendations made in its first report and issue additional findings and recommendations to better leverage these resources for residents in the future. The Metropolitan Beaches Commission was made permanent in 2015. Each year the Commission holds public hearings at the State House and in waterfront neighborhoods and beachfront communities from Nahant to Nantasket, and issues an annual report of its findings and recommendations to the Legislature and to DCR. If you have questions, comments, or concerns that you would like to bring to the MBC's attention, please email MBC@savetheharbor.org, call Save the Harbor at 617-451-2860, or contact your State Representative or State Senator's office.